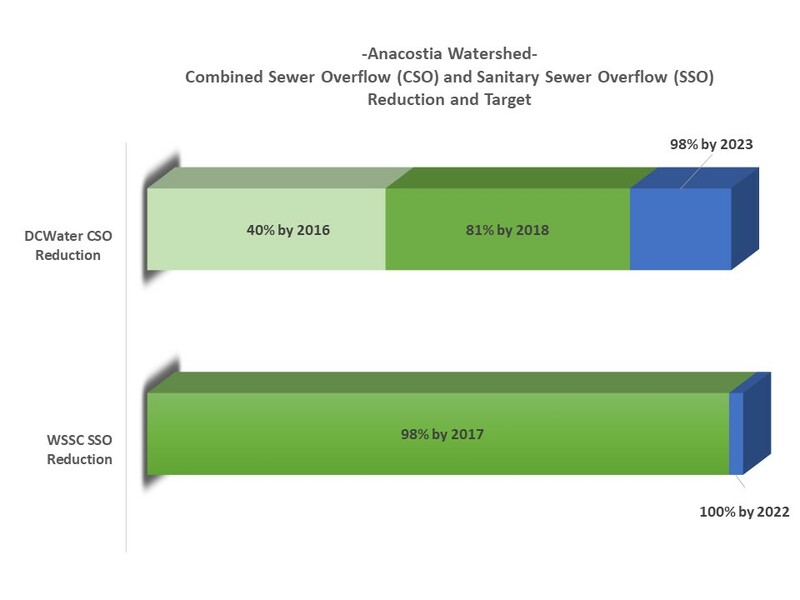 Dramatically reduce pollutant loads, such as trash, sewer overflows, stormwater, suspended sediment, nutrients and toxics, delivered to the tidal river and its tributaries to meet water quality standards and goals. 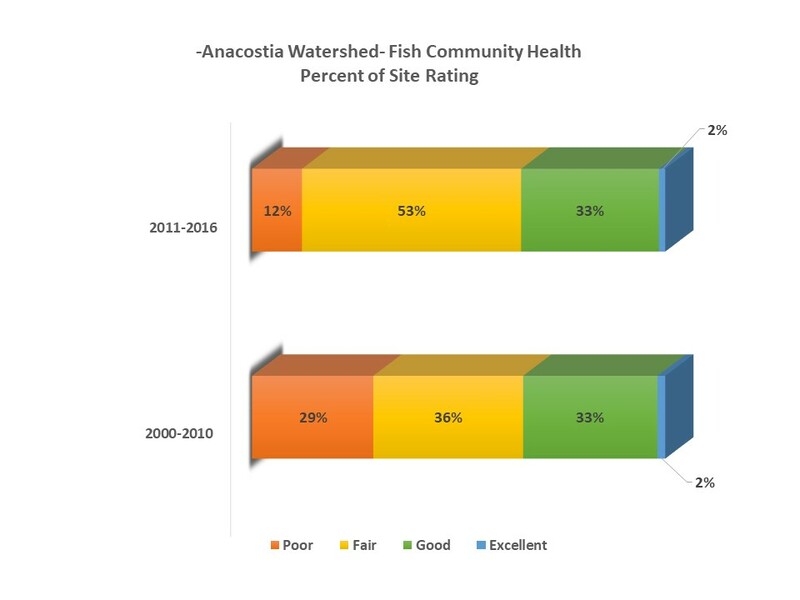 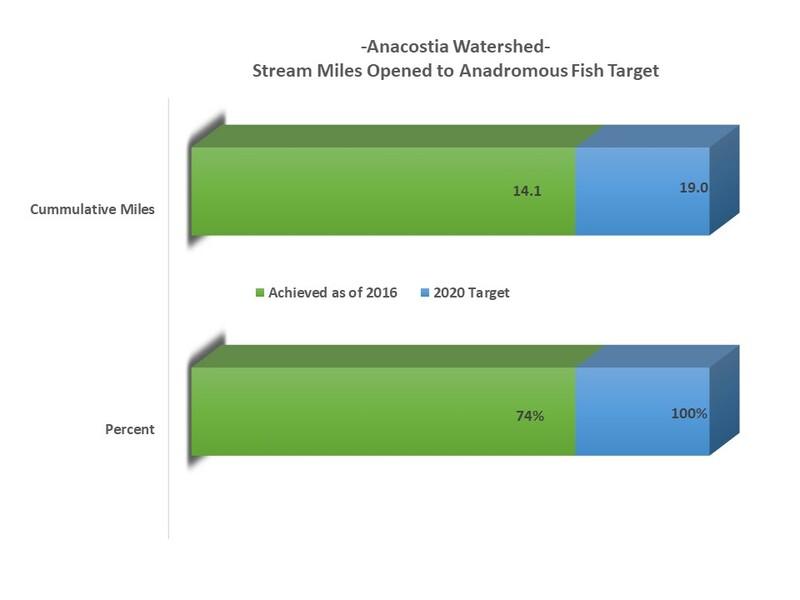 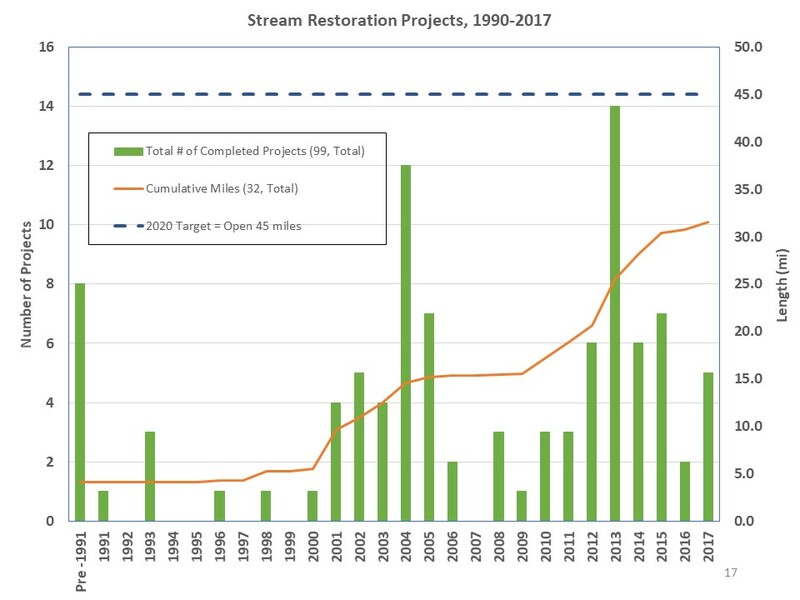 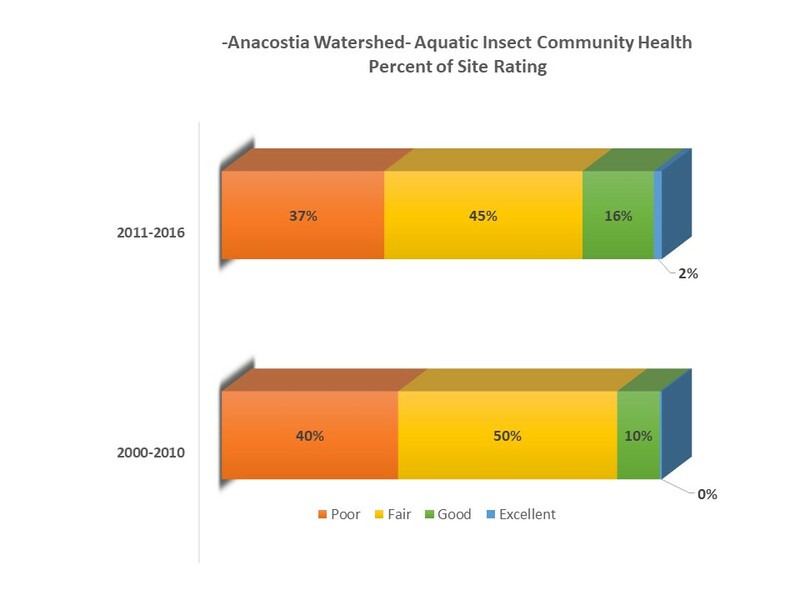 Protect and restore the ecological integrity of the Anacostia River and its streams to enhance aquatic diversity, increase recreational use and provide for a quality urban fishery. 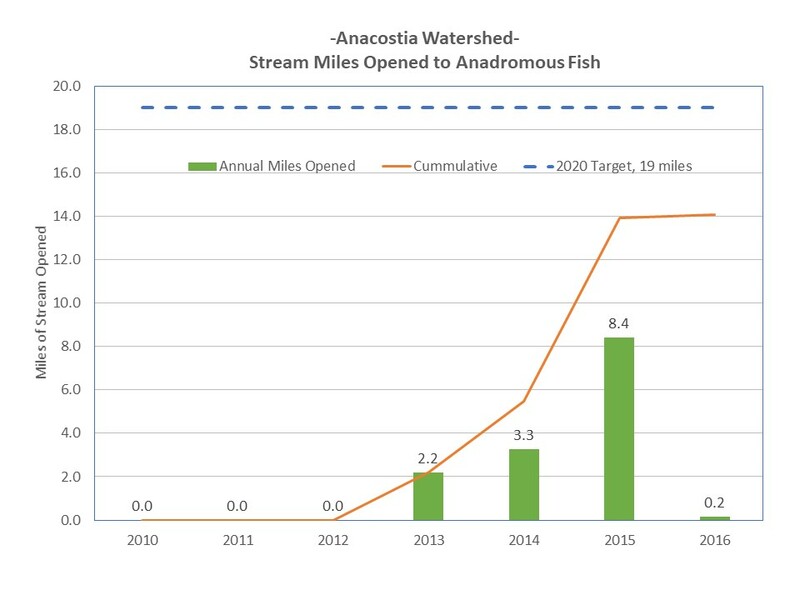 Restore the natural range of resident and anadromous fish to historical limits. 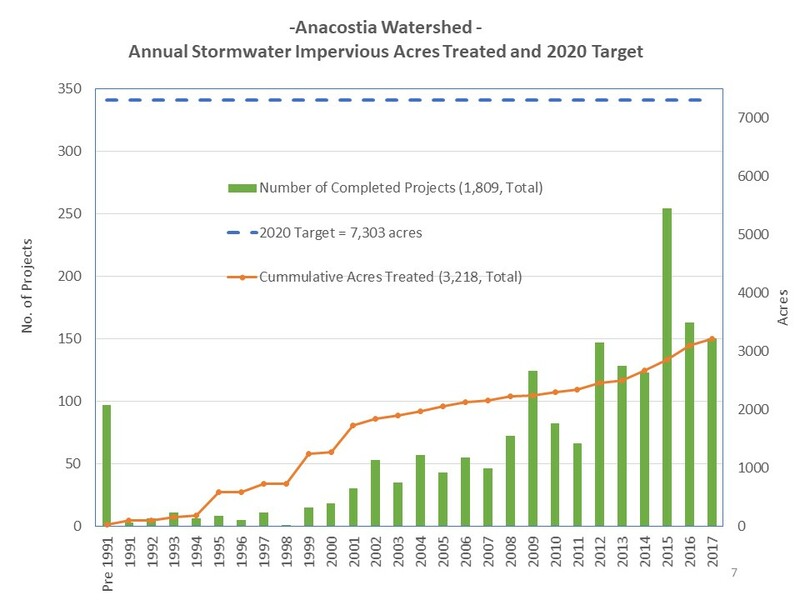 Increase the natural filtering capacity and habitat diversity of the watershed by sharply increasing the acreage and quality of tidal and nontidal wetlands. 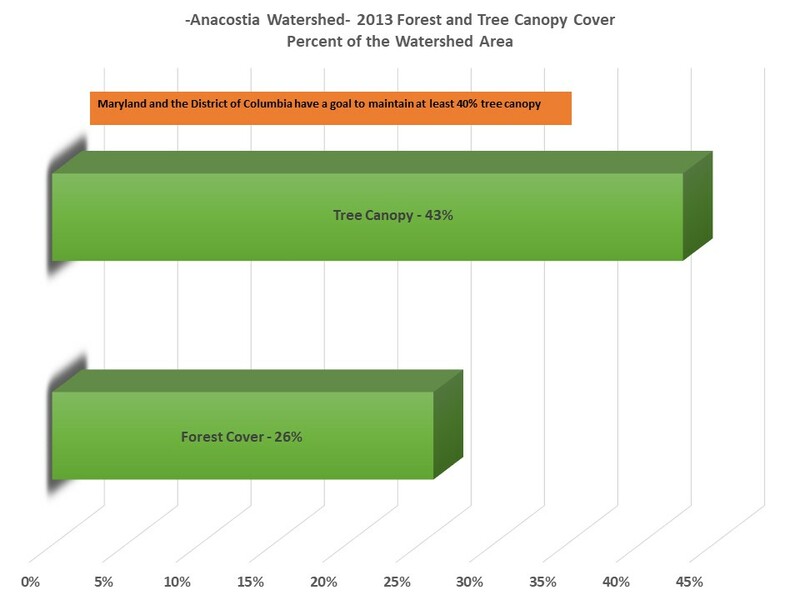 Protect and expand forest cover throughout the watershed. 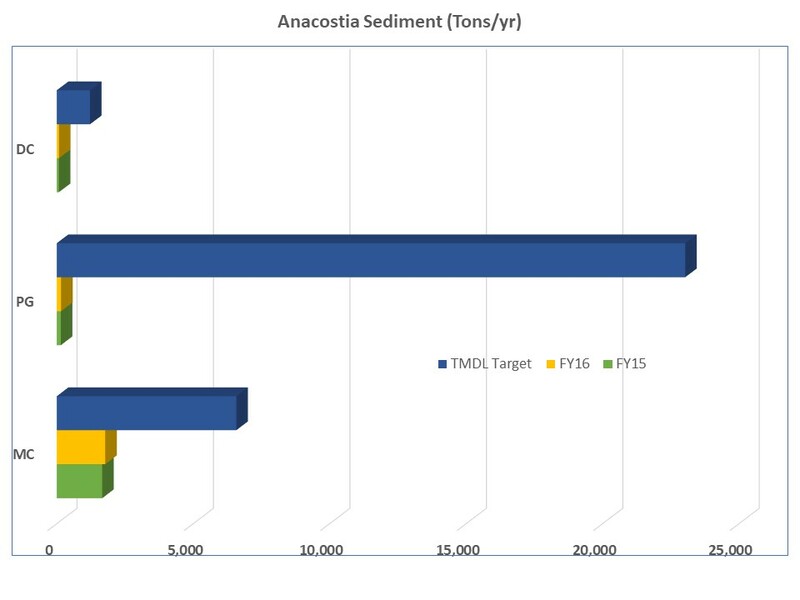 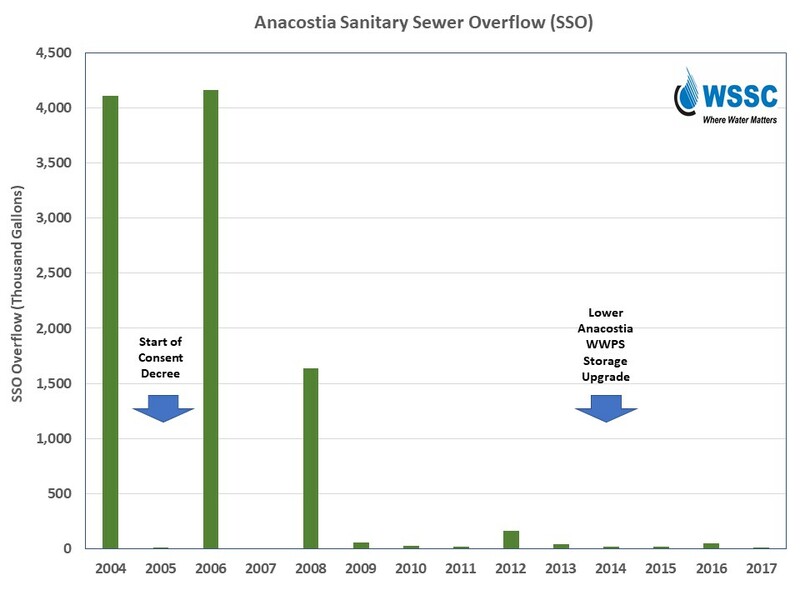 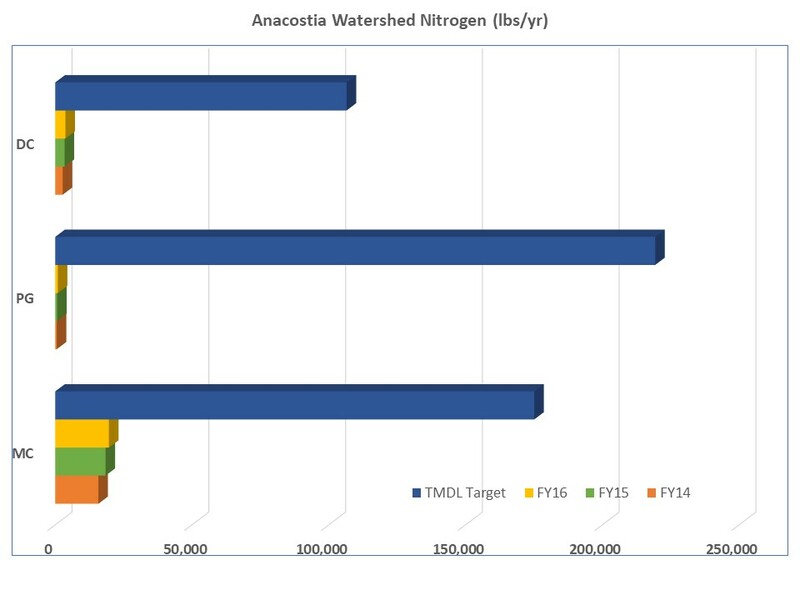 Montgomery County, Anacostia Watershed Implementation Plan (2012); Annual NPDES MS4 Report and Personal Communication. 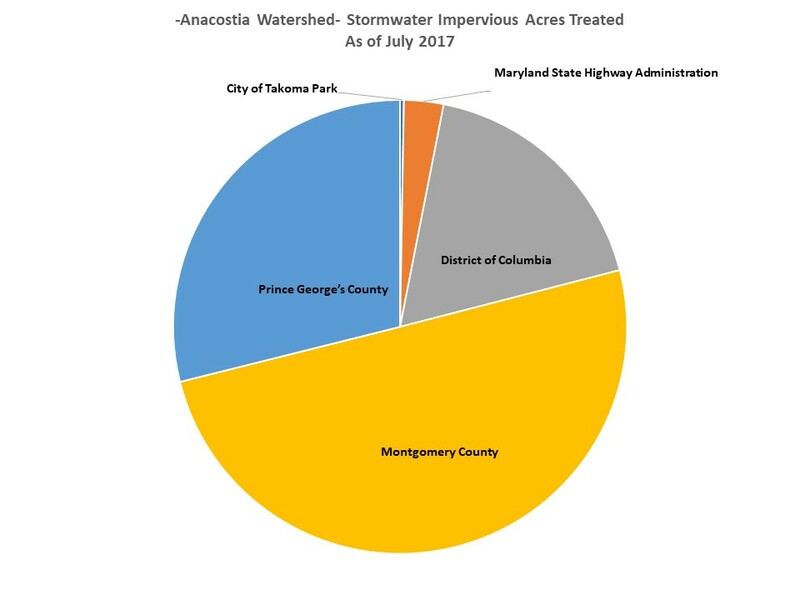 Prince George's County Department of the Environment. 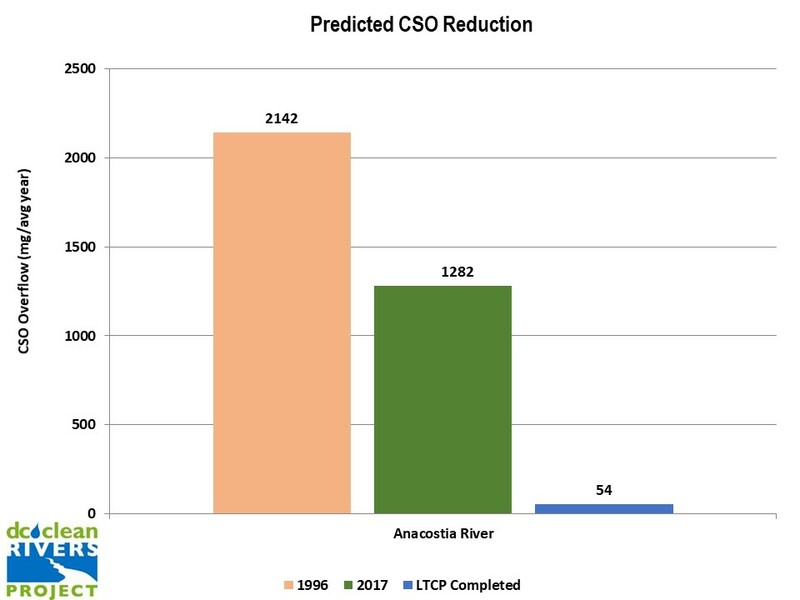 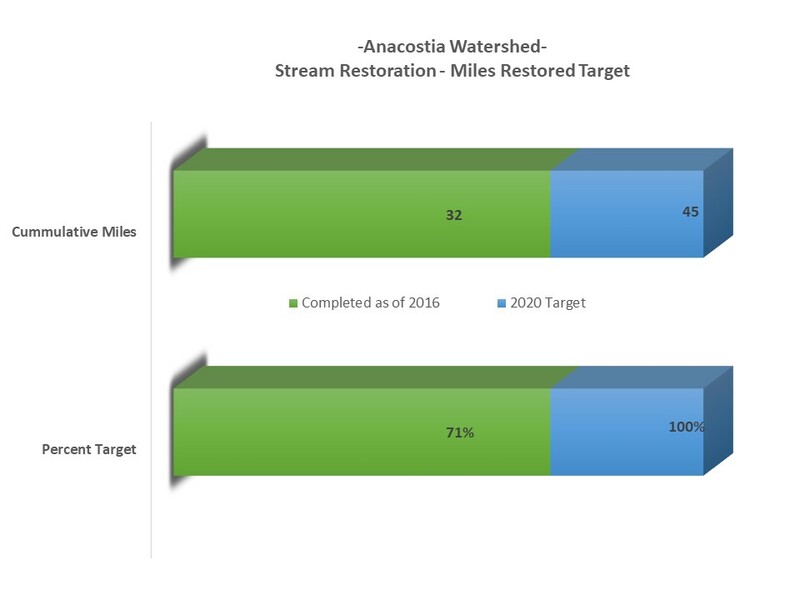 Restoration Plan for the Anacostia River Watershed in Prince George 's County (2015), Annual NPDES MS4 Report and Personal Communication. 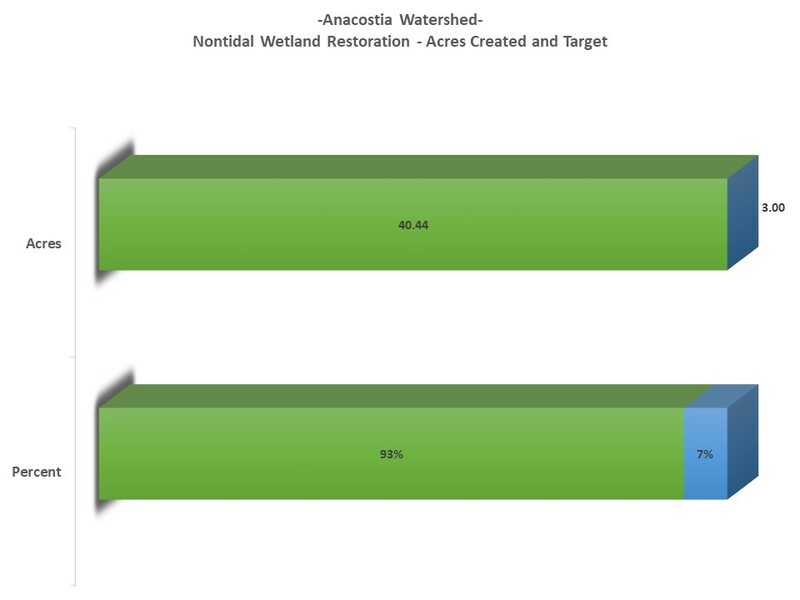 District of Columbia Department of Energy and Environment. Consolidated Total Maximum Daily Load Implementation Plan Report and Personal Communication (2016), Annual MS4 Report and Personal Communication. 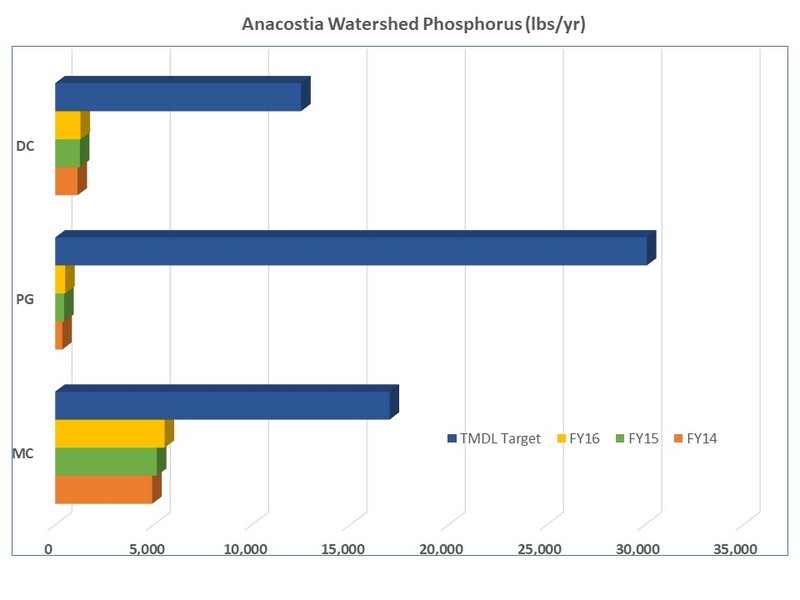 Maryland State Highway Administration. 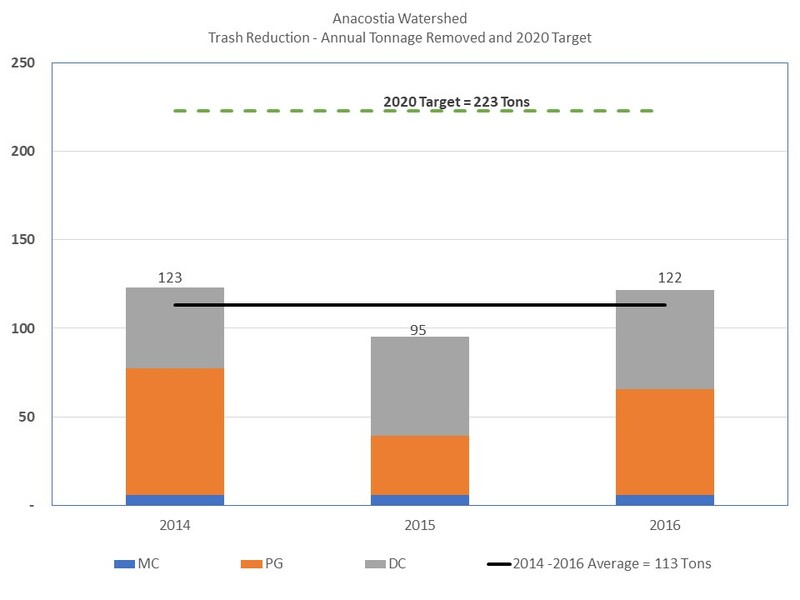 Annual Report and Personal Communication. 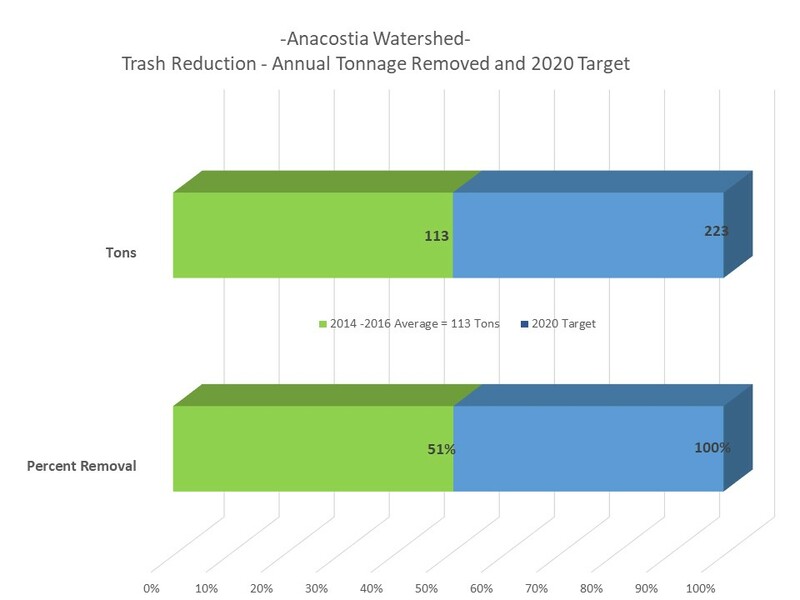 City of Takoma Parks. 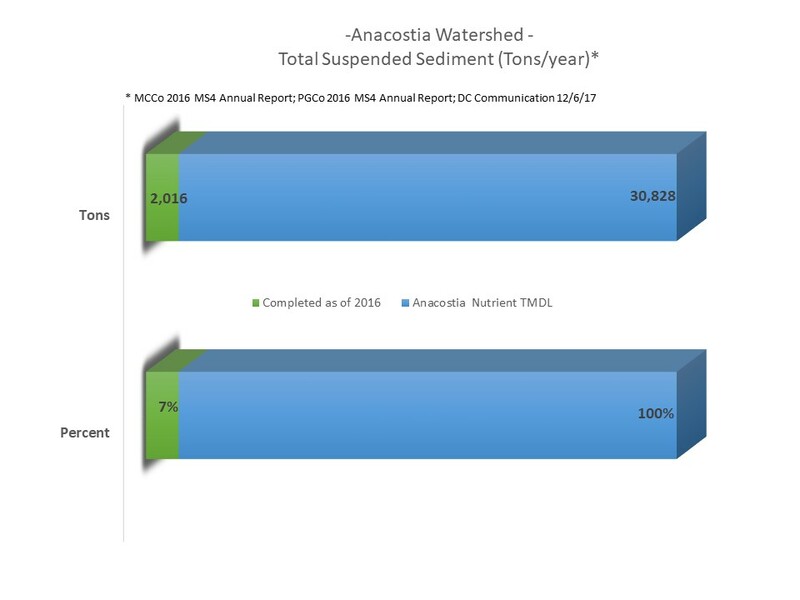 Annual NPDES MS4 Report and Personal Communication. 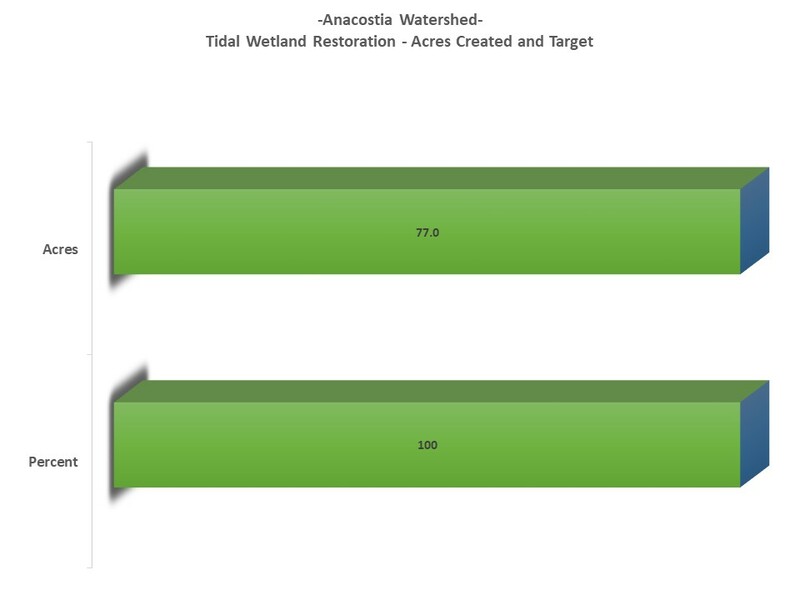 Chesapeake Conservancy Land Cover Data Project (2013). 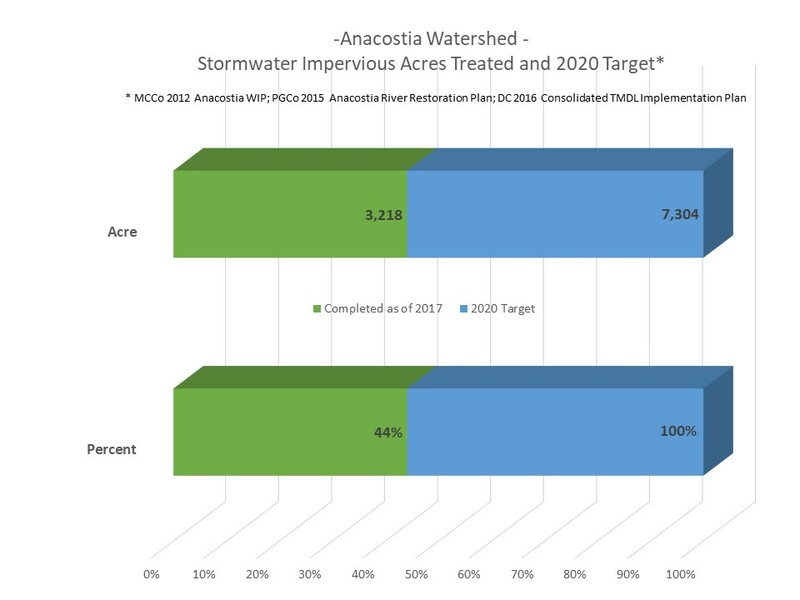 District of Columbia and Maryland 40% tree canopy goals.